← Yet another ‘oh look, the start of term’ blog post…. A visit from the British Academy…. Ken Emond, Head of Research Awards of the British Academy, came to visit the University of Nottingham the other week to talk about the various and nefarious research funding schemes that are on offer from the British Academy. To make an event of it, my colleagues in the Centre for Advanced Studies also arranged for various internal beneficiaries of the Academy’s largesse to come and talk about the role that Academy funding had had in their research career. I hope no-one minds if I repeat some of the things that were said – there was no mention of ‘Chatham House’ rules or of ‘confidential learning agreements’, and I don’t imagine that Ken gives privileged information to the University of Nottingham alone, no matter how wonderful we are. Much of what funders’ representatives tend to say during institutional visits or AMRA conferences is pretty much identical to the information already available on their website in one form or another, but it’s interesting how many academics seem to prefer to hear the information in person rather than read it in their own time. And it’s good to put a face to names, and faces to institutions. Although I think I shall probably always share Phil Ward‘s mental image of the BA as an exclusive Rowley Birkin QC-style private members club. But it’s good to have a reminder of what’s on offer, and have an opportunity to ask questions. I met Ken very briefly at the ARMA conference in 2010, and his enthusiasm for the Small Grants Scheme then (and now) was obvious. I was very surprised when it was scrapped, and it seems likely that this was imposed rather than freely chosen. However, it’s great to see it back again, and this time including support for conference funding to disseminate the project findings. It seems the call is going to be at least annual, with no decision taken yet on whether there will be a second call this year, as in previous years. It seems much more sensible than having separate schemes for projects and for conference funding. It’s unlikely that we’re going to see a return of the BA Overseas Conference Scheme, but…. it was quite a lot of work in writing and assessing for really very small amounts of money. Although having said that, when I was at Keele those very small amounts of money really did help us send researchers to prestigious conferences (especially in the States) they wouldn’t otherwise have attended. One of the questions asked was about the British Academy’s attitude to demand management, of the kind that the EPSRC have introduced and that the ESRC are proposing. The response was that they currently have no plans in this direction – they don’t think that any institutions are submitting an excessive number of applications. 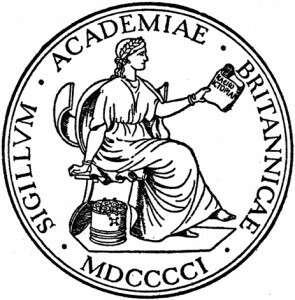 Although the British Academy has some of the lowest success rates in town for its major schemes, they are all light touch applications – certainly compared to the Research Councils. Mid-Career and Post-Doc Fellowships both have an outline stage, and the Senior Research Fellowships application form is hardly more taxing than a Small Grant one. Presumably they’re also quick and easy to review – I wonder how many of those a referee could get through in the time it took them to review a single Research Council application? Which does raise the suggestion from Mavan, a commenter on one of my previous posts, about cutting the ESRC application form dramatically. But… it’s possible that the relative brevity of the application forms is itself increasing the number of applications, and that’s certainly something that the ESRC were concerned about when considering their own move to outline stage applications. I guess a funding scheme could be credible and sustainable with a low success rate and a low ‘overhead’ cost of writing and reviewing applications or a high success rate with a high overhead cost. The problem is when were get to where we are at the moment with the ESRC, with low success rates and high overhead costs. This entry was posted in Application advice, British Academy, ESRC, Funding, Funding Policy, Research Costs. Bookmark the permalink.